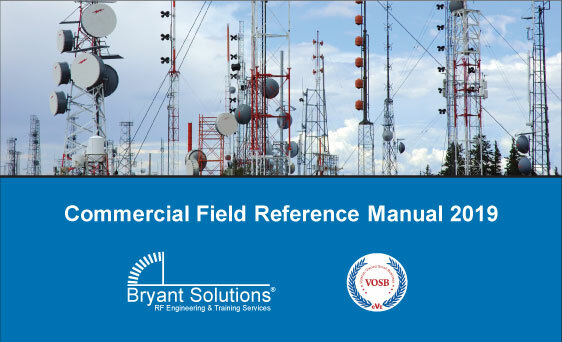 Bryant Solutions’ Commercial Field Reference Manual Is used for our training courses targeting wireless carriers, contractors, and public safety agencies. International versions available. Used for our training courses targeting the military and federal agencies. We also offer a version with water and tear resistant paper. International versions available. 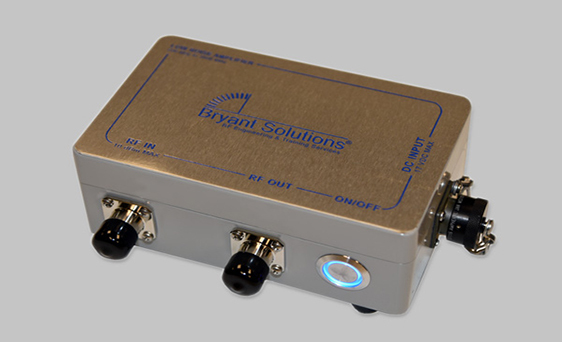 Bryant Solutions’ LNA is a great tool for quickly acquiring and tracking down LTE external interference that would otherwise be very difficult to capture with just a yagi antenna and filter. Bryant Solutions, Inc. is a veteran-owned company that offers customizable hands-on training courses, which incorporate customer specific challenges and site configurations. It is very common for complex problems to be resolved as part of our courses. We do not use presentation slides. While our competition has comments like "great instructor" or "great class", our typical responses are "one of the best classes I have had in over 20 years" and "extremely knowledgeable instructor". We are at the forefront of the technology we teach. Jim's passion for all things RF were apparent from the start of class. His approach to teaching is far beyond simply setting people up to accomplish a task; he goes in depth on the capabilities and limitations of specific field equipment, and how to effectively utilize available technology to achieve the goals and objectives of an organization. He takes the time to ensure that everyone has a clear understanding of the underlying theory that drive the methodologies which allowed us to accomplish our mission. Jim's approach to presenting difficult material is uncomplicated yet in-depth and he easily adapts to the learning style of students with diverse learning styles and backgrounds. Field Services Engineer at Viasat Inc.
Jim from Bryant Solutions provided my colleagues and I a wonderful RF Fundamentals course where he took the time to explain concepts that engineers use on a daily basis but may never fully understand the math behind, and took the extra time to tailor the course and labs around our specific work load. Colleagues that have worked in the RF engineering field for many years were able to learn from him and found the course very helpful. He is very organized, explains concepts clearly, and responds to questions in a very timely manner making it very easy and fun to learn. I very much enjoyed learning from him and would recommend his course to any engineer. When it comes to RF training and education Jim is excellent. I've taken several trainings from Jim over the last few years. He is able to take complex material and break it down in a way that is easy to remember and implement. If you work in RF, I highly recommend Bryant Solutions. Excellent instructor with great attention to detail. His knowledge of RF/signals along with troubleshooting tips and techniques is excellent for answering ANY questions that come his way. Of all the training courses I have been sent to, Jim seems genuinely passionate about the content and getting his class to understand the content and not just spew out information to move the class along. I recommend Jim for any training needs you have. I had Jim Bryant of Bryant Solutions come into Albuquerque and teach a 3-day class on antenna sweeping. It seems rather simple at first glance, since all wireless technicians know how to sweep an antenna (or so I thought). But the course really went into the engineering and nuts & bolts. I was skeptical at first at how much the guys would learn since all of my techs have been around for years. They all said it was one of the hardest, but one of the best courses they had taken. It is not a course for a tech who is just wanting to get by. They will learn but they will also get blown away if they don't work their butts off. The word is "challenging". The training has paid for itself because we rely less on outside contractors to tell us where our problems are in our system. Bryant Solutions also trained our technicians on interference locating. Once again this really gave the technicians a hands on experience. Excellent training! I highly recommend the Bryant Solutions Level 1 Base Station Line Sweeping and RF Analysis Training course and certification program to any engineer or technician that maintains radio base stations. As a Cell Technician at X for 15 years, I felt that the Level 1 course was very informative, but the certification program was what really made the difference for me. While it was more difficult than expected, Jim was very patient and helpful. I came away with a new understanding of my test equipment and the components under test. Thanks, Jim. I really do appreciate what you do, and glad that you offer one of the most meaningful courses I have taken while employed at X.
Bryant Solution Inc. is an excellent company. We hired Jim to increase the skills sets of the engineer’s ability to find and mitigate interference. Jim went above and beyond transferring information to the team and the company. Jim is a gentleman that is personable and really knows his radio frequency (RF) interference mitigation knowledge, as well as all the professional skills that an RF Engineer should know. He gives the theoretical information and backs it up with hands on teaching to bridge any gaps in comprehension. I recommend Bryant Solutions for any radio frequency class it offers as well as the professional interference mitigation services. Thanks again! Jim is an excellent instructor. He was able to do what most people can't, he made the information come alive. His examples were real world, and not just theoretical. He was easily able to go from the very simple to very complex in a short time frame and not lose the class. I took several training courses with Jim, and I found it very interesting and informative. It helped me to better understand the equipment we use in both theoretical and practical sides. The training material has been always elegant and professional, and his way to transfer the knowledge is special. Thank you Jim. Jim’s courses are a combination of strong theory supported with hands on measurements. His vast knowledge in the field allows the class to become tailored spiecifically for your needs. The learning doesn’t stop when the class does, Jim’s support after the training is unparalleled. The training courses my team has taken with Jim are the best we have had, we look forward to any chance we have to take a course led by Jim. Jim Bryant was hired originally to train X Field Operations Technicians in antenna system analysis and interference isolation. Bryant Solutions' program not only contained material and hands-on training, but provided a support program to reinforce topics learned and keep technician skills sharp. Jim listened to X's needs and requirements and curtailed the training to meet today's current designs as well as set us up for LTE testing. By far the best vendor training program I have seen in my 20 years with X! In the following years, X has utilized Jim to assist in large RF interference troubleshooting problems, and isolate offenders with our new 700MHz band. 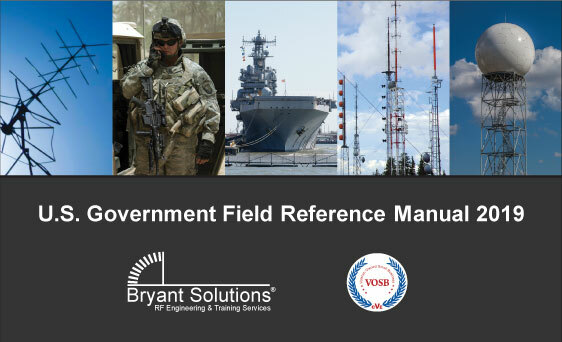 Bryant Solutions have been X's best weapon in RF antenna training and interference isolation.